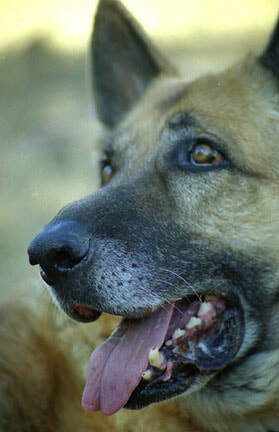 In memory of specials humans and canines who touched our lives. 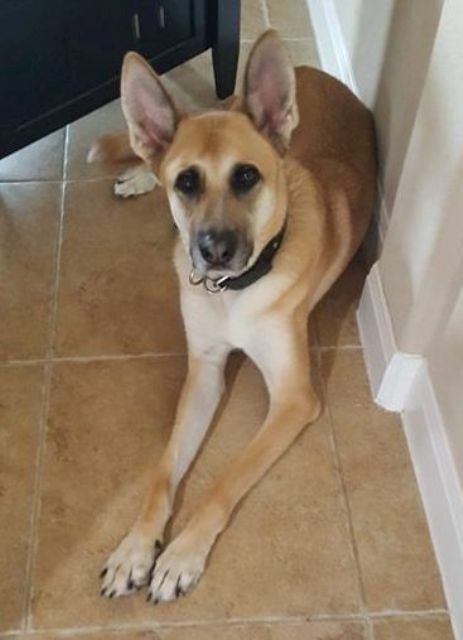 Levi is a special German Shepherd mix that had been adopted three years previously as a puppy from our organization. 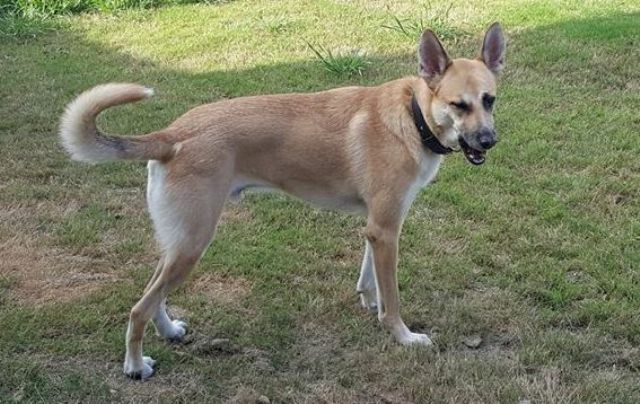 However, he got out of the yard on the day the family was moving away and for some unknown reason, jumped off a concrete overpass at least 20 feet high. He landed hard on the concrete and broke all four legs. One hind leg was completely crushed. Levi could not walk at all. He was carried away from the site by very kind Bexar County Animal Control people and was kept comfortably in their shelter about a week on pain medication. 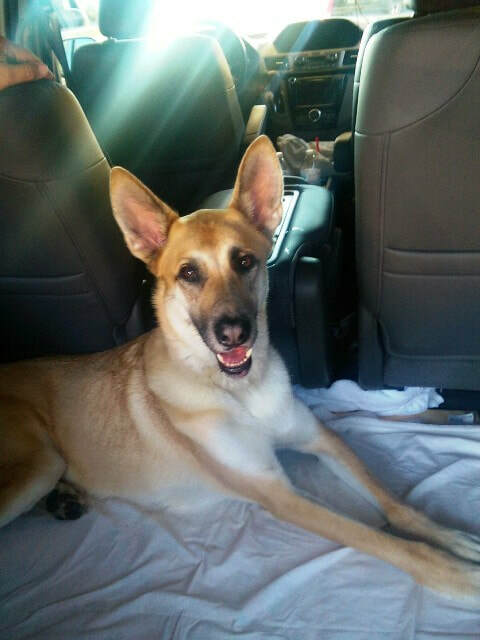 We decided to take him out of the shelter and drive him from San Antonio to Dripping Springs. The guy never whimpered one time even though I am sure he was in pain. He stayed quietly in the back of the van as we drove him to two different vet hospitals for evaluation. He licked our faces and I think he realized we were trying to help him. After getting the news that we would have to put him down, we gave him a last meal of Arby's roast beef sandwich and had him quickly and humanely euthanized in the back of our van. We will miss the brave and dignified spirit of Levi very much. 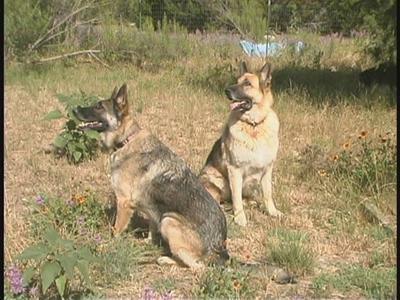 Michele Kronberg was the heart of German Shepherd Rescue of Central Texas, serving on the board as our Vice President. 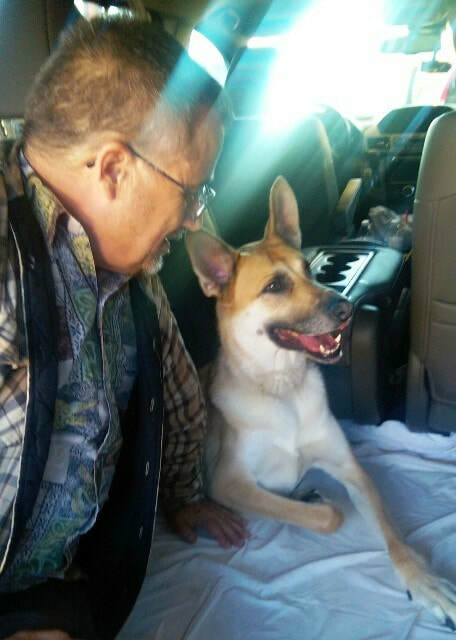 She was one of our biggest driving forces behind rescuing and finding homes for abused and abandoned dogs. 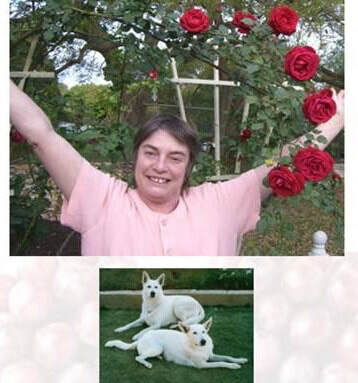 Michele had a lifelong love of white German Shepherds, and always had at least one with her at all times. Michele supported rescue through generous donations, ensuring all dogs received needed medical treatment and found wonderful homes. Michele could be seen at all rescue events, supporting the group and making friends with her bright cheer and love of life. You could count on Michele, day or night, to be there for anything you needed. Michele also owned Austin Flag and Flagpole, and provided beautiful banners for our group to use at local events and in promoting our group. The banner you see on our home page was provided by her! Michele is deeply missed by all who knew her. There is no one like Michele. Even though our group continues in her Honor, there is a big hole that will never be filled. 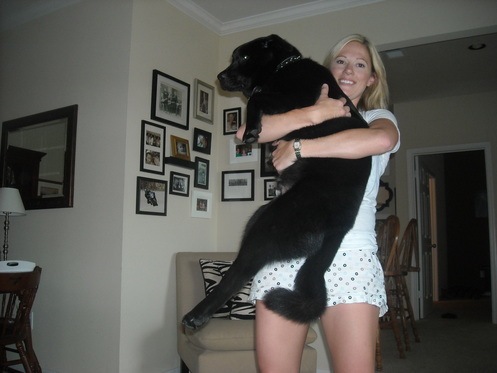 Leslie Hollis was always an animal lover. After several years without a pet, her and her boyfriend, Dan DeKruif adopted Jacob from the GSRCT in April 2011. Being such a naturally happy person, getting Baron was about the only thing that was going to make her smile even more than normal. Leslie and Dan changed his name to Baron, trained him with German commands, and began including him in every aspect of their lives from hikes to dinner outings to drives to IA and CO to visit family. Unfortunately, on November 2, Leslie passed away as a result of cancer. 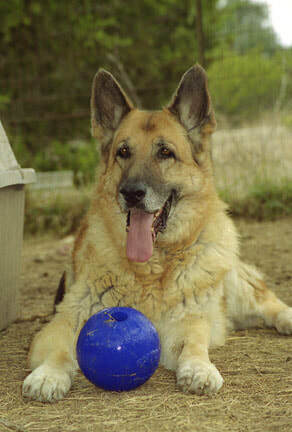 Baron was able to visit her in hospice only hours before her passing. When Leslie left us, Baron’s blanket went with her, and her blanket went back to the house for Baron. Despite the pain of losing a person so full of life as Leslie, Baron is a huge source of comfort for Dan as the two of them and all other friends and relatives begin the healing process and carry on with years of fond memories of their Leslie.